” In 1954 Columbia USA introduced its new, modernist-style “Walking Eye” logo, which purports to depict a stylus (the legs) on a record (the eye); however, the “eye” also subtly refers to CBS’s main business in television, and that division’s iconic Eye logo. In 1956, Columbia signed Miles Davis to the label and in 1958, Davis’s sextet released Milestones, an influential alum which explored the techniques of modal jazz. In 1959, Davis’s sextet released Kind of Blue,which appears as number 12 in Rolling Stone’s list of the “500 Greatest Albums Of All Time”. Columbia sold many millions of records by artists like Bob Dylan, Simon & Garfunkle, and Barbara Streisand, and jazz was a tiny part of their portfolio. Out of around a thousand jazz records in my collection there are less than twenty on Columbia, and those consist almost entirely of Miles Davis, Charles Mingus and Thelonious Monk. Thanks for that at least. 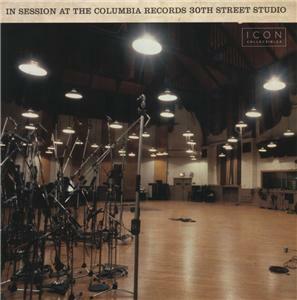 One of the secrets to the recording quality of Columbia records is the unique studio Columbia created in 1949, in an abandoned Armenian Greek Orthodox church at 207 East 30th Street, between 2nd and 3rd Avenue in Manhattan. It was here Columbia studio engineer Fred Plaut recorded Miles Davis Kind of Blue, Charles Mingus Ah Um, and many other classics of the Columbia label in the Fifties and early Sixties including West Side Story. It has been said the 30th Street Studio provided a distinctive ambiance, a kaleidoscope of sublime sonic qualities unparalleled among recording studios, even van Gelder’s Englewood Cliffs has difficulty in matching. It is, I think, the key to understanding why Stereo editions on the Six Eye label have the tangible spaciousness of soundstage not found in other stereo recording of the time, a natural reverb presence, The Church recreated in your listening room. And could be someone “up there” likes modern jazz. 1 l ???????? This is a six eye black/ red with arrows up up top on label That say Stereo on one side of the arrow and Fidelity on the other. This was one album of my uncle Peter’s personal collection,which I have also original blue note of miles Davis first pressing first cutting BP-1502-A. The Fat ear icursive P in and hand etched initials RVG and of course the number 9 over M which is also hand etched . Now you may not know who my uncle Peter is but anybody that is a jazz musician does for before his death in the 70s he was the Best stand up jazz bass player that came out of Germany . His full name is Peter Trunk ., which I know he knew Miles Davis personally so he always got first presses and first cuttings. Now Miles Davis kind of blue Album still has the inner sleeve which is just a plastic wrap with Columbia record in gold stamped on it. It is not sealed but still holds the record fine for it’s the inner sleeve and I have the album Cover too. With from the look of the matrix number I gave to you , then you would already know that it will have Adderly , which is spelled wrong and the wrong lineup of songs on the back of the album of the second side. Now There is a small gold and Red sticker on the front right corner of the cover and also on the record label itself on side 1 of the which it says Muskihaus Hummel FFM Tounusstr. 43•Tel.34536? Figuring my uncle Peter lived in Germany that’s probably where it’s from . If you could tell me is these a rare album? Really enjoy your posts but wanted to say that Bob Dylan never recorded in that studio. “Highway 61” was recorded in CBS Studio A which was on 7th Avenue. Swing on. I know nothing of Dylan’s recording history, I was plagiarising, if that’s not too honest, something I read elsewhere about Columbia 52nd studio. Fact-checking Wiki: “Highway 61 Revisited was recorded in two blocks of recording sessions that took place in Studio A of Columbia Records“. My original source was careless, clearly wrong. I will expunge the reference. Perhaps, social message and sonic ambiance are on different pages. 1A 1B and 1C lacquers were cut simultaneously during Columbia’s heyday. 1A lacquers went to Pitman, NJ plant, 1B lacquers went to Terre-Haute Indiana plant and 1C lacquers went to Santa Maria CA. plant. So all records sourced from those three lacquers would be considered “first pressings,” just as 1, G, -1 EMI pressings would be considered “first pressings”. While it is true that unlike EMI’s system where you can know from which mother and which stamper your record was sourced, and there’s no way of telling on ANY record whether it was the first record or the 1000th record pressed from a given stamper, it is an absolute fact that a 1A, 1B and 1C Columbia pressing is a FIRST pressing, with the lacquer produced when the tape was freshest (why you insist on using the word “mix” in this discussion mystifies me) and when there was a greater likelihood that the artist or his representatives were paying attention to the final product. My information comes from people engineer Roy Halee (Simon and Garfunkel, Bob Dylan, Byrds, etc.) and a former head of Sony/Legacy. The earliest laquer cuttings1A 1B 1C are logically “the freshest”, can’t argue with that, its a logic thing. Whether the sonic quality of all pressings derived from all mothers and stampers derived from cutting 1A is higher than all pressings derived from all mothers and stampers derived from cutting 1D or 1AE or BF, being “less fresh” is more the issue. Stampers deteriorate through use – why else do they change them? Do your engineers have a view on sonic quality rather than “First-ness”? I’m a total newbee to all of this stuff but I recently bought a “Kind of Blue” from a record store in Portland, OR and the number indicates 1CB, and 1CE. Would that mean that it is the 2nd (1CB) press from the Santa Maria plant and the 5th (CE) from the Santa Maria plant? 1CB means 1st “mix” 35th cutting and 1CE 1st “mix” 38th cutting. Columbia made all these large numbers of cuttings, sent to plants all over the place. The Matrix number doesn’t identify which plant pressed it – each plant has its own local way of identifying its work, usually an abbreviation or letter handwritten in the trail-off area somewhere. T for Terre Haut Indiana, Columbia NY for Pitman NJ, – I’m not sure how CA plant marked its work. With Columbia, I am not sure the pressing plant is especially of significance but I know some collectors (ie Beatles) it makes a big difference to the value of collectables, on account of some editions being rare. With KoB , to my ear, the original stereo six-eye label is the pressing of choice, but there are lots of different opinions on this one. Could I trouble you for your insight on this Dave Brubeck Time Out pressing? Mine are the lower images with the visible matrix numbers. My question is around the lack of “CBS” in the arrows at the 12 o’clock position compared to the other person’s images, and that my fonts are a bit different as well. Does this mean *anything* regarding the presence of “CBS” there or not? And the obviously different font? My cover does not have the “Featuring Take Five, Blue Rondo A La Turk” text which is usually the telltale for a 2nd pressing. So from the matrix decoding and visual cues, how do I accurately describe this? second tape/3rd cutting for Side 2? I have added a “mugshot” of three Columbia Stereo Six-Eyes to the end of the post. Both Take Five and Kind of Blue were I believe among the biggest selling jazz releases ever – million plus sales – so there will have been a huge number of masters, mothers and stampers created to deliver the required volume. Comparing the Take Five CBS edition on Discogs with the two others, it looks very much like there was a second “CBS” pressing. Reading your Columbias Matrix Codes I think you read it right. Your copy of Take Five is from among the early generations of masters, which in theory is good. As I have written elsewhere, the determinant of best audio quality is, for any given cutting or mastering, where in the 2 to 3,000 pressing repetitions per stamper this particular copy sits, and that remains forever unknown. The “CBS” directly below “COLUMBIA” (on the mono; inside the arrows within the “STEREO FIDELITY” heading on top on the stereo) first showed up about 1961. No definitive source is quoted, but I see a similar statement for the Columbia Masterworks label history too. Thanks a lot for your help, it is most likely a later pressing I think. The matrix numbers are XLP43598-1AG AND XLP43599-1AD…. There is a slight elevation from the central part of the label to the outer circle where the 6 eyes, trademarks and columbia lettering is…from my novice understanding, this could be micro groove? I am not an expert in Columbias matrix codes, as here in Europe they came up with CBS and local mastering. Orange rough texture anyone? It’s unclear what, if anything, this means from a sound-quality point of view. While an 1A stamper pressing makes for a more “collectible” records, I have numerous Columbia mono six-eye first pressing white-label promos which have much higher cutting numbers, including a 2B/3B and a 2AA/2B. They are obviously from later pressing runs to try and drum up buzz for an-already released record, but they are not the pressing numbers you might expect for a WLP, and, more importantly, they sound amazing. So it’s unclear if 1A truly means something sound-wise, or if it is – as I suspect – purely a case-by-case basis based on the quality of the original tape, the quality of the individual cutting, which pressing plant was used, etc. Which makes it harder, but much more fun! Thank you both, feel like I have learnt something today! And a valuable lesson! The 1A though definitely means it was the first lacquer cut when the tape was freshest but of course the actual record you hold could have been the last one pressed with a stamper generated from that lacquer or one pressed in the early morning when the press wasn’t running its best etc. Still, it’s one variable about which you can be sure. 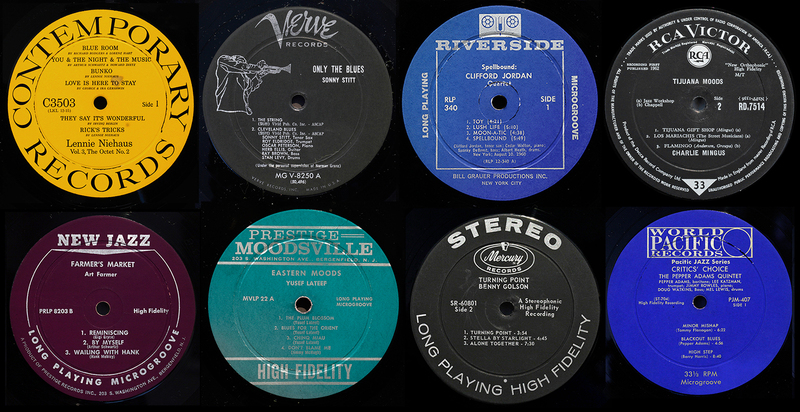 but I don’t have enough US original pressings of that period apart from Blue Note and Prestige, so I can’t be definitive, but the dies that left no DG were introduced around 1960/1 for Blue Note and I see similar changes other labels. Most of the Popsike claimed “originals” of Milestones seem to be DG where mentioned. I can only guess custom and practice across the industry was to use up old label stock first so it is entirely possible a second pressing, perhaps 1963, may appear with the older label but no DG. Happened routinely with Blue Note. Anyone knows better, please chip in. I would like to ask a question if I may. I recently purchased, Milestones off of Discogs and it was sold as a original columbia 6 eye. The album artwork matches the original release, but there is something that has caused debate between myself and the seller. The vinyl itself has a six eye label with COLUMBIA in large white letter across the top (the label prior to the one you’ve listed above), however their is no deep groove in the label. As far as I am aware, or believe to be aware deep groove was common on all columbia pressings of the time of the Milestones release. Could you help me here at all? 1961 was when, upon the opening of their newer Pitman, NJ plant, Columbia retooled all its pressing dies there and at their other plants of the time (Bridgeport, CT; Terre Haute, IN; and Hollywood, CA) to veer away from the older “deep groove” towards an indented 2.703125″ diameter ring. That, coupled with the ‘CBS’ placed at the top end of the Columbia labels (above ‘COLUMBIA’ on six-eye mono and inside the white/red “Stereo Fidelity” arrow on six-eye stereo), was characteristic of 1961-62 LP pressings. The first variant of the ‘two-eye’ label first turned up somewhere between June and July 1962. However, some remnants of the old-style “deep grooves” would still turn up every now and then on some pressings, mostly on one side only – at Terre Haute as late as 1969, and Pitman as late as 1973 (I have a DG on one side of a Pitman-pressed copy of Deodato’s CTI album “Prelude: Deodato”). Santa Maria, CA, which opened in 1963-64, was the only Columbia plant not to have any DG pressings on any side, that I know of.